Exquisitely designed, this gorgeous maroon colored necklace set from Anuradha Art Jewellery will make you look stunning. 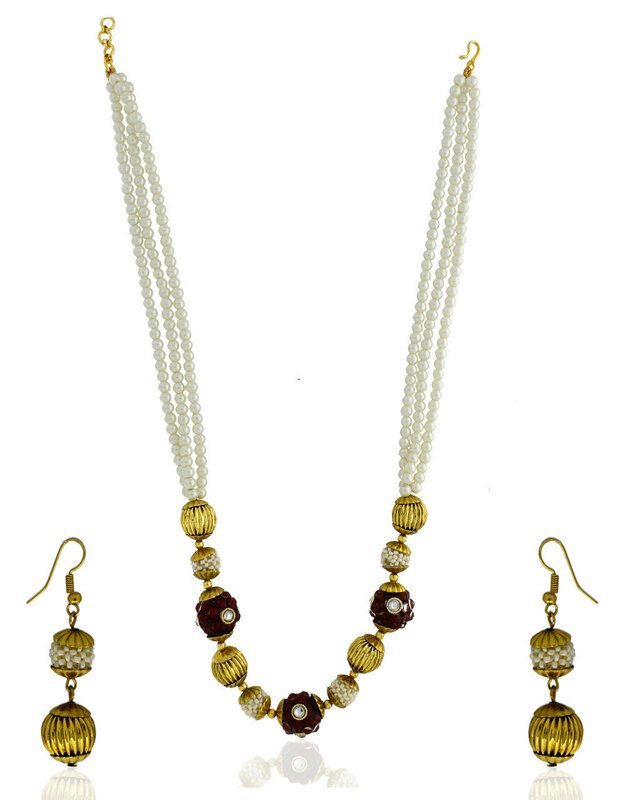 It is styled with golden beads colored beads. This necklace comes with an adjustable dori, so that you can fit according to your neck.